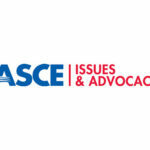 Professional licensure remains a significant focus of the Society, and the ASCE Board of Direction has recently undertaken a number of actions that it believes will further strengthen the licensure process. For example, at its July meeting, the Board voted to direct additional resources to its efforts to Raise the Bar for engineering. It also directed its Committees on Licensure and Public Policy to conduct a comprehensive review of ASCE’s policies related to professional licensure. Among the issues the Board asked those committees to study is a move by licensing boards to allow candidates to sit for the P.E. exam prior to the completion of the experiential requirement. At its January 8th meeting in Miami, the Board dedicated time on its agenda to a robust discussion of the topic. This was a follow-on to the October 2014 approval of an ASCE policy that says significant progressive engineering experience should be necessary to pass the P.E. exam. Leading the January discussion was Marsia Geldert-Murphey, P.E., M.ASCE, chair of the ASCE Public Policy Committee, joined by Managing Director for Government Relations and Infrastructure Initiatives Brian Pallasch and the executive director of the National Council of Examiners for Engineering and Surveying (NCEES), Jerry Carter. Carter was invited to present an overview of the issue and was asked to share relevant data from those states that allow “early taking” of the P.E. exam. Proposals to eliminate the prerequisite that the experiential requirement be completed before a candidate can take the Principles and Practice of Engineering exam date back 15 years, according to Carter. Proponents believe that allowing “early taking” of the exam will increase support for licensure by encouraging more engineers to “get on the path” to licensure early in their careers. Others express concern that the P.E. exam, intended to assess practice knowledge and judgment, cannot provide a valid measure if candidates take the exam prior to gaining the required experience. Following the discussion, the Board voted not to adopt a position to either oppose or endorse early taking. Instead, the Board asked for continued effort by Society committees and staff to maintain the rigor of the exam to ensure that it appropriately assesses an engineer’s practice knowledge. During the January meeting, the Board held a presentation and discussion session with Norman D. Dennis, Jr., Ph.D., P.E., F.ASCE, chair of ASCE’s Committee on Education. Dennis reported that COE’s task committee had completed revisions to the ABET Civil Engineering Program Criteria to conform with ASCE’s Civil Engineering Body of Knowledge, 2nd Edition, presented the revised criteria for feedback in a number of forums, and developed commentary to accompany the criteria. Dennis also expressed the importance of ASCE’s continued relationship with ABET and the accreditation process. While COE is addressing pressing issues such as the need to recruit more ABET evaluators from the practice community, Dennis noted that it is also closely monitoring proposed changes to ABET’s governance that could dramatically diminish ASCE’s influence on civil engineering program criteria in the future. He urged the Board to devote time at its meeting in March 2015 to a more detailed discussion of that topic. Focusing the conversation on the future of civil engineering education, Dennis alerted the Board to additional emerging issues that could have a significant impact on civil engineering education in the future. For one, Dennis said that with the emergence of K-12 STEM education standards, ASCE needs to determine its desired role in defining and implementing those standards. Currently, while ASCE and its members play a major role in delivering STEM programs to students, the Society does not have a leadership role in shaping the content of new and evolving standards and related curriculum. In turning to K-12 outreach, Dennis highlighted the promising success of several of ASCE’s high school engineering clubs. The Board took several actions as part of its business agenda, including the approval of 2 new Historic Civil Engineering Landmarks and the adoption of changes to the Rules of Policy and Procedure that created a new technical division focused on infrastructure resilience.